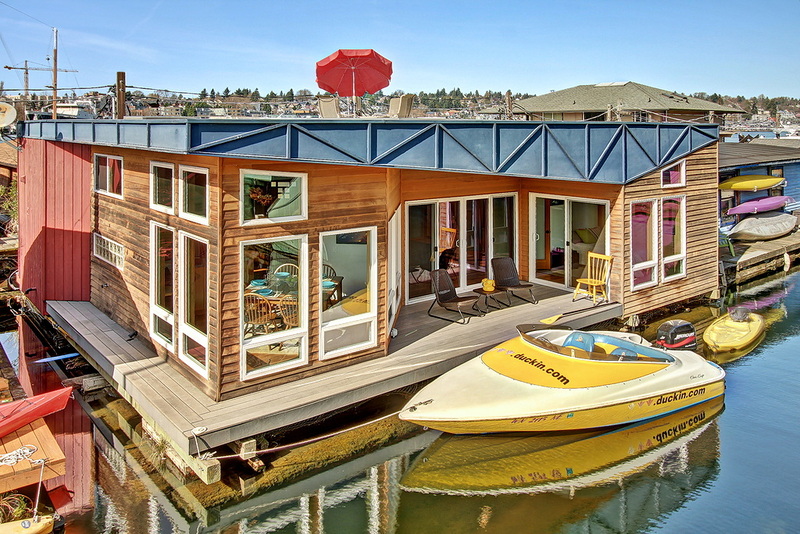 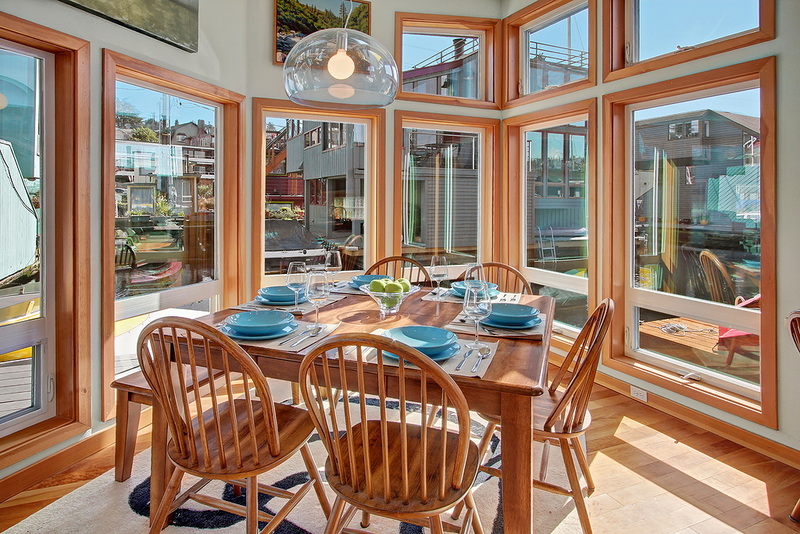 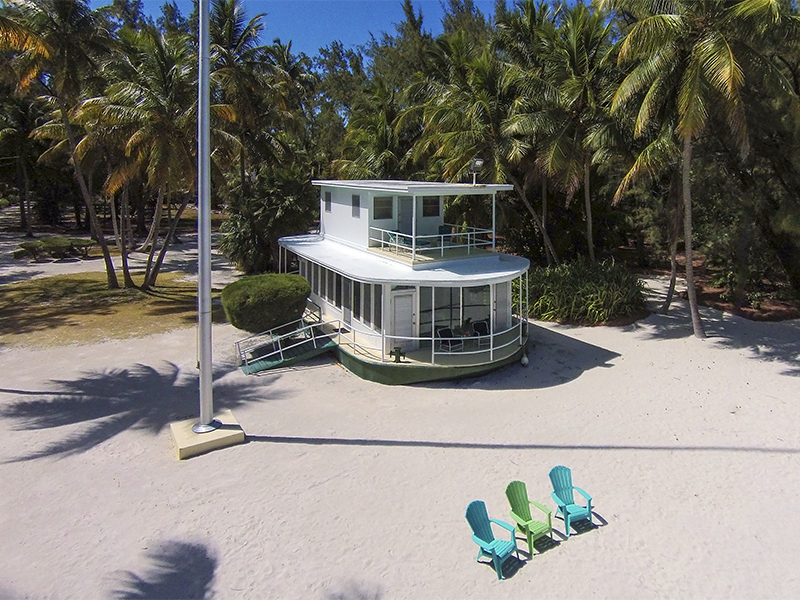 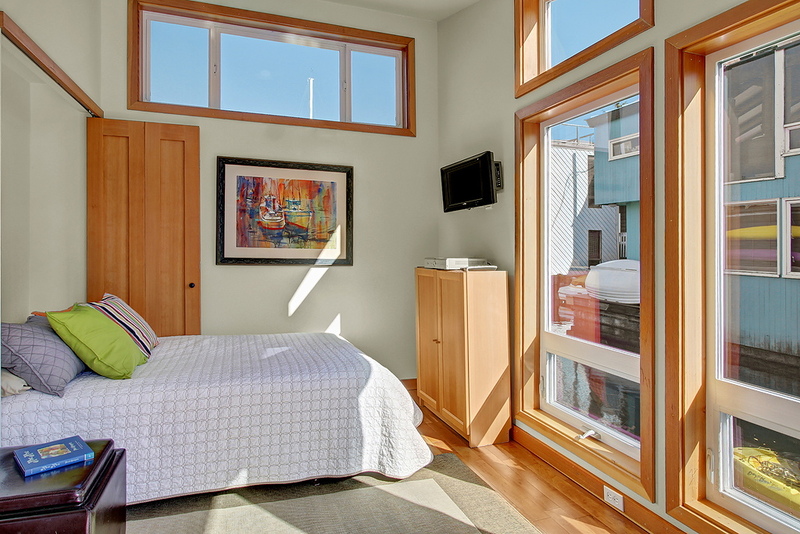 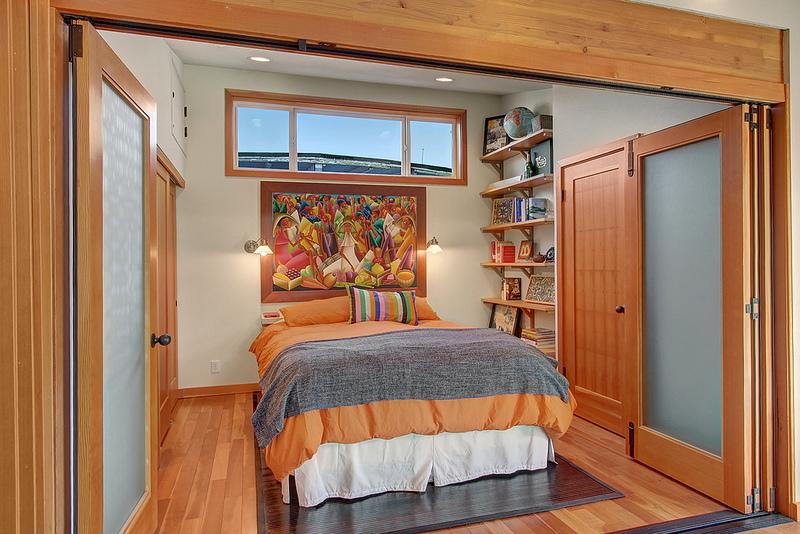 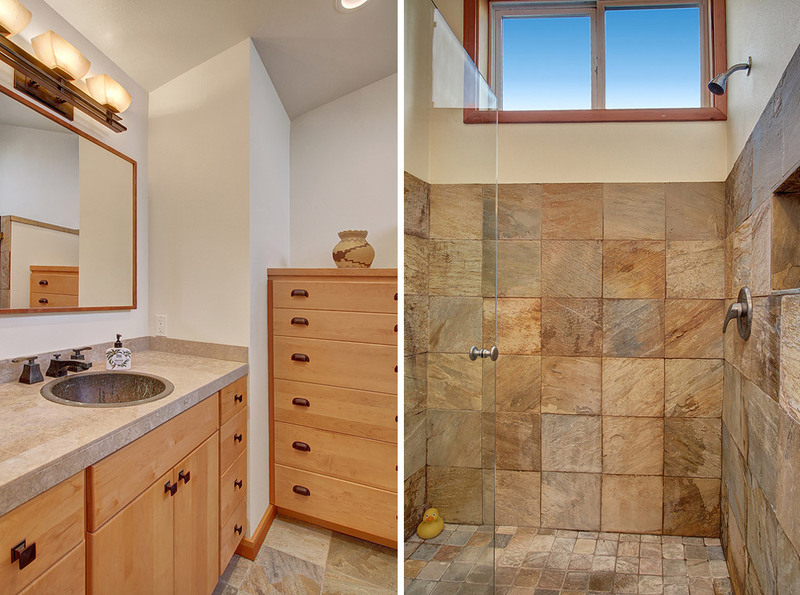 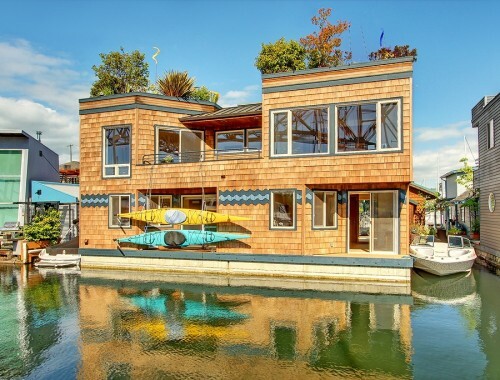 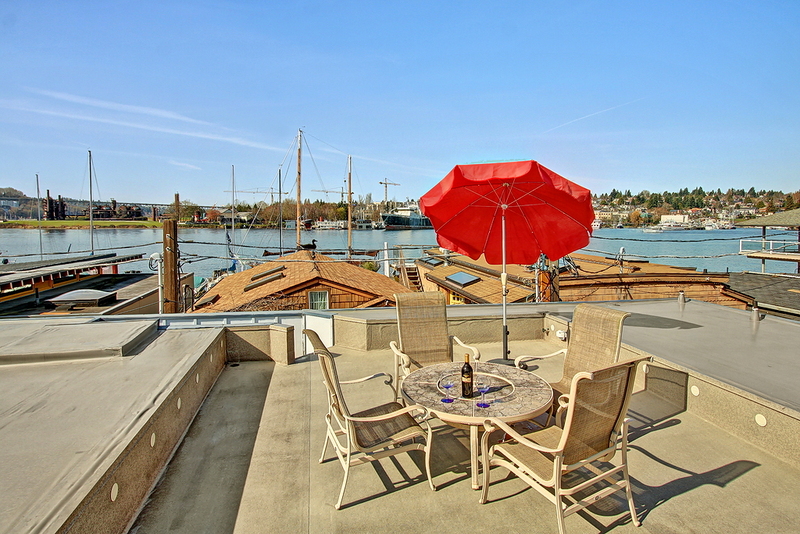 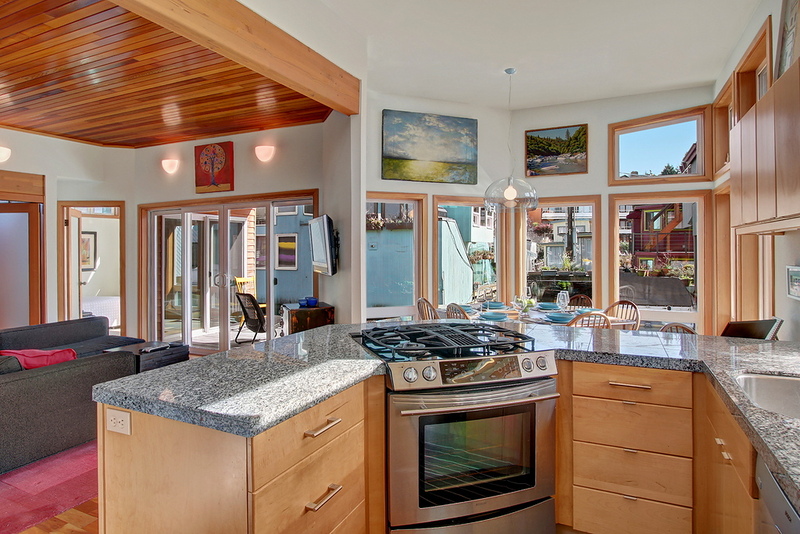 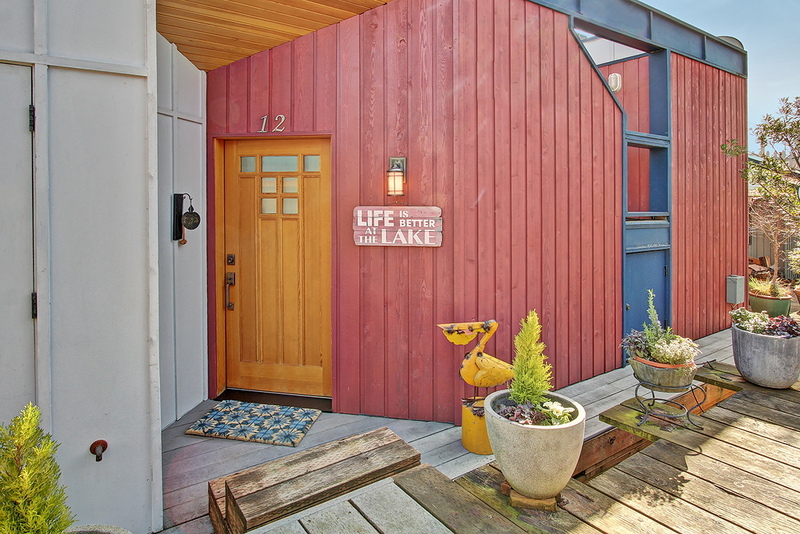 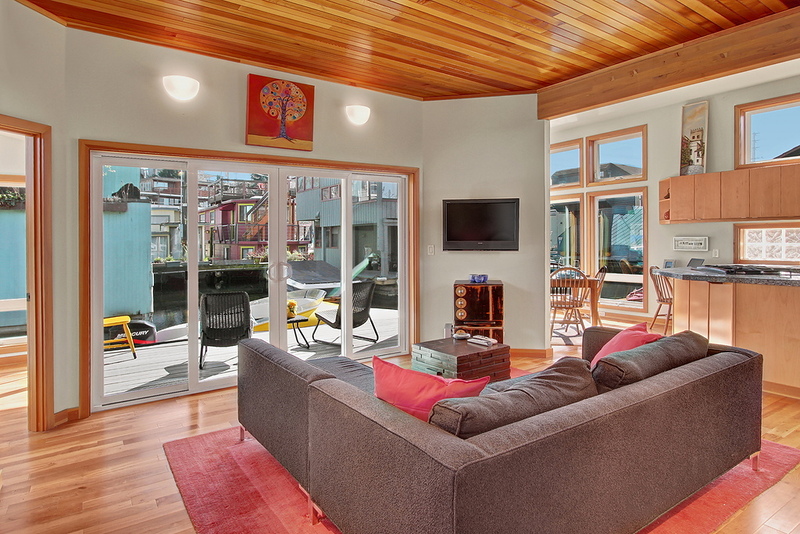 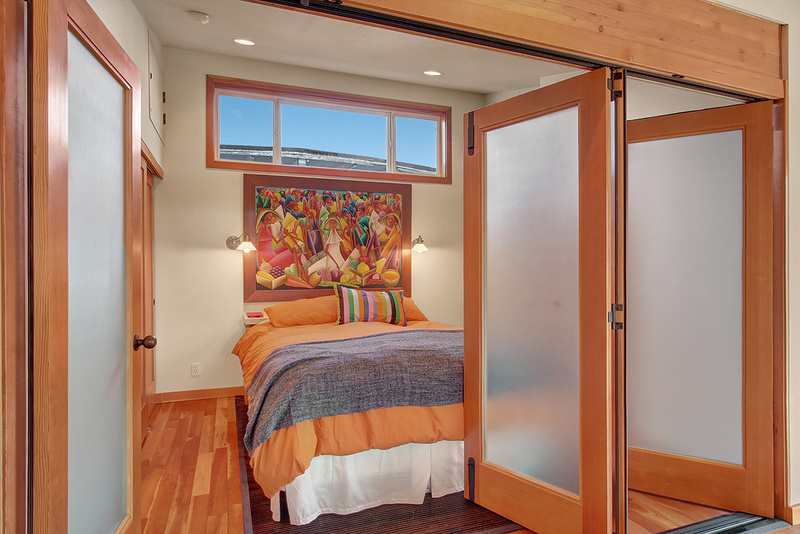 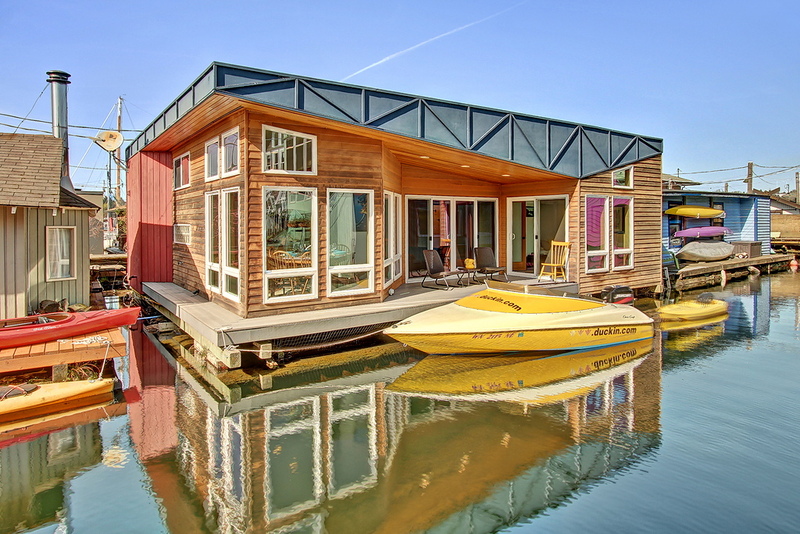 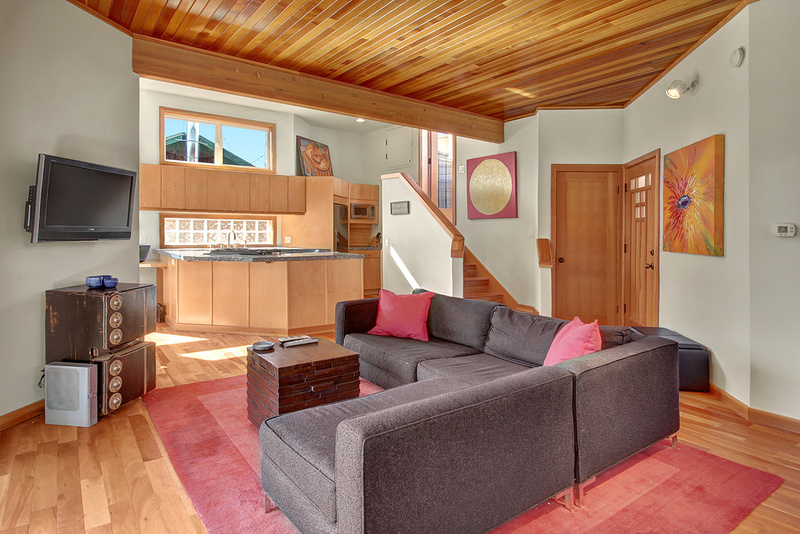 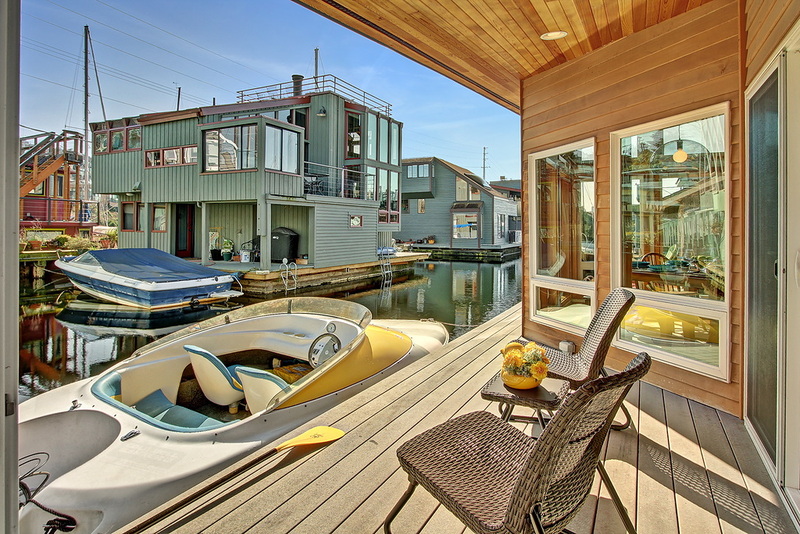 A custom 954 square feet floating home with upper deck lounge area in Seattle, Washington. 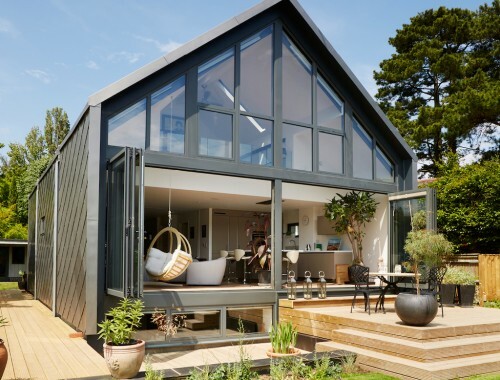 Awesome- everything you need. 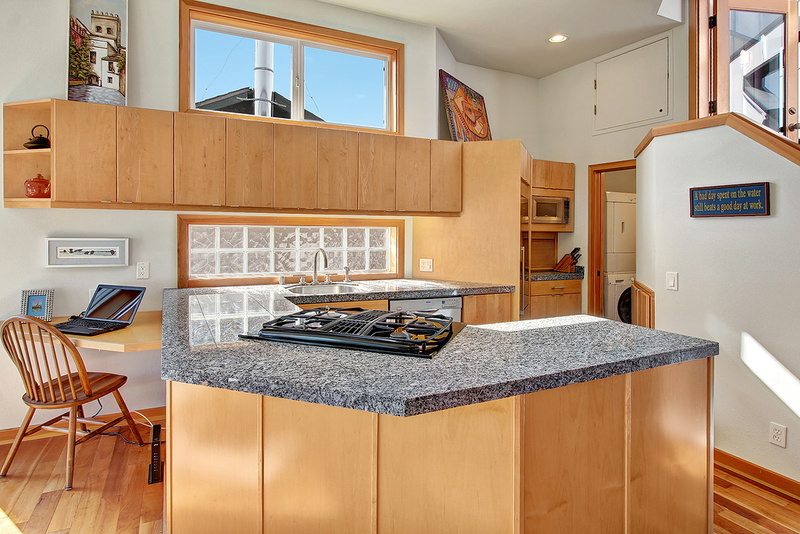 I really like the layout of the kitchen!